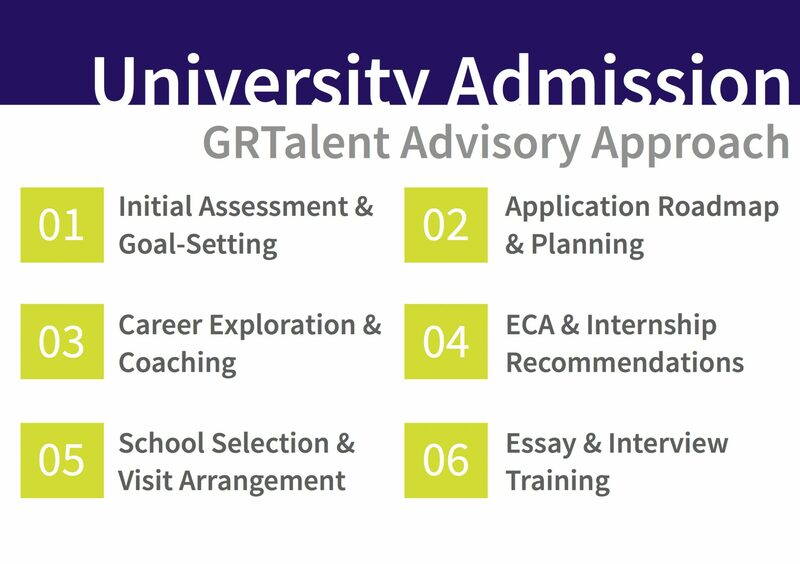 We assess the student’s readiness and strengths for a successful university application. Our Counselors conduct a comprehensive interview with the student to review their academic and extra-curricular achievements. Top universities require students to articulate their life goals, display character and sound values, and share experiences that demonstrate leadership, teamwork, and social responsibility. Under our University Admission Consulting Program, our Counselors work with students to develop a multi-year roadmap for college admission and challenge them to aim for the best possible university. Through utilising personal strengths assessment and career exploration tools, our team works systematically in identifying the student’s unique strengths, and their suitability for a range of career options. Our Counsellors monitor students’ study habits and grades to maximise their academic potential for university admission. They coach students on staying focused and using a workplan to achieve their desired results. Students eventually build a solid track record of success that they can draw on in all aspects of their application. Our Counsellors and Tutors would also offer Subject Tutorials, University Subject Foundation and subject taster programmes to complement our university admission consulting programme. Top universities, such as Oxbridge and Ivy League, look for students who show dedication to their chosen field of subject through extra-curricular activities and internships. These are crucial for writing a compelling personal statement. GRTalent therefore recommends activities, explore internship opportunities for our students so they can gain a deeper understanding of different professions. Drawing on the experience of our team, we help students and parents plan overseas campus visits, and advise them on what they should pay most attention to. With our university admission consulting services, we recommend suitable universities and help explain the likelihood of being successfully admitted into each school. A personal statement is an opportunity for a student to make a good impression on the college admission committee. A student’s character, life experiences, values, view of the world and future potential can all be vividly expressed. To achieve this purpose, the GRTalent team aims to understand each student’s life story – then highlight their achievements in the most impactful way, and showcase their thought processes and talents in carefully crafted essays. We help students improve their writing style, and ensure their essays make compelling and noteworthy statements. An interview is sometimes the final hurdle before acceptance. To prepare students, we conduct mock interviews using a list of questions from our data bank. These include unfamiliar topics, critical and probing questions, and questions that may arise from reading the student’s personal statement.